Vanilla Spiced Pear Butter makes an excellent homemade gift during the holidays. 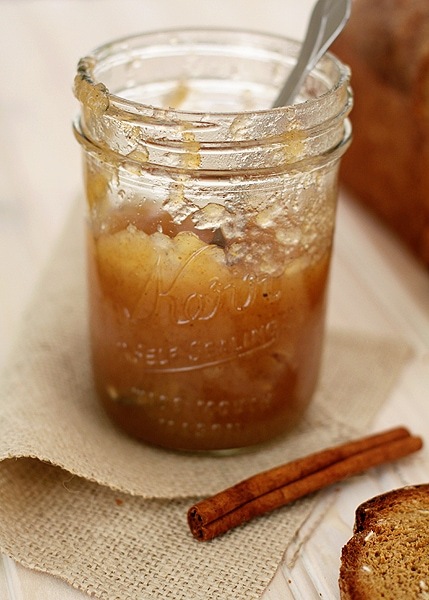 Save this recipe for Vanilla Spiced Pear Butter to Pinterest! I had a craving recently for this Vanilla Spiced Pear Butter. It is so good warm on a buttery toasted English muffin for breakfast. So I bought a bunch of pears so that I could make it again since it has been years since I’ve prepared a batch. 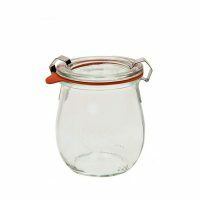 I had great plans to make a really large batch and can it in these cute Weck Jars. 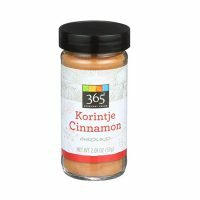 I wanted to have some on hand in the pantry so we could open a jar whenever we wanted. And I also thought it would be nice to have a little stash to gift to neighbors, friends, or teachers during the upcoming holiday season. Preparing the Vanilla Spiced Pear Butter is actually pretty easy. For most of the day it is a hands off project. First, you’ll peel a bunch of ripe pears. Then, you’ll cut them up and place them in a large pot with water, lemon zest, and lemon juice. After cooking it for a bit, you’ll transfer it to a food processor to smooth it out a bit. Then, you add the remaining ingredients to the pear sauce that you’ve just made. After that, you just cook it all day on low so reduce it down until it is nice and thick. The house will smell amazing. The smell of this Vanilla Spiced Pear Butter cooking is better than burning a fall scented candle. Unfortunately, for me, the kids ate a bunch of the pears. I ended up with only enough to make a half a batch of the Vanilla Spiced Pear Butter recipe listed below. So, I decided not to can the recipe since there really wasn’t that much. Instead, I just have a couple jars in the fridge and gave some to a neighbor friend. 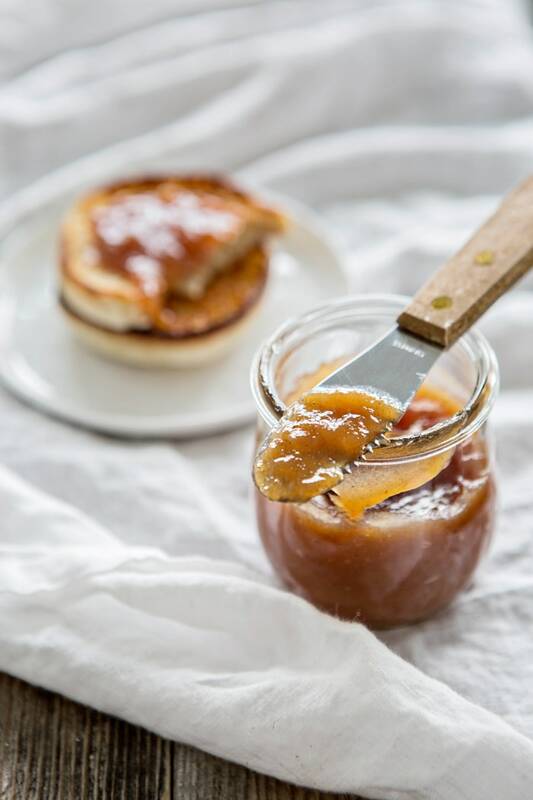 If you haven’t canned before, canning pear butter isn’t that hard even thought it sounds like it would be complicated. But, if you aren’t comfortable doing that you don’t have to. You can store the pear butter in the freezer to preserve it and just take out what you need as you want to use it (or gift it). Just make sure to use a freezer safe container. Plastic canning jars work great, but some glass canning jars are labeled as freezer safe as well. This recipe for Vanilla Spiced Pear Butter would make an excellent homemade gifting idea for friends and neighbors. And it isn’t even that difficult to make! I recently picked up a copy of Ball Complete Book of Home Preserving while browsing the cookbooks at Costco. At a quick glance there were several canning recipes that I knew I would want to make. This is a great starter canning book. Lots of recipes with detailed instructions on the canning process. It really made it feel a lot more doable and less overwhelming for someone like me, who has canned a few times but is definitely no pro in the preserving field. Click and save this recipe for Vanilla Spiced Bear Butter to Pinterest! Coincidentally, pears were also on a mega sale here. I’ve been wanting to try my hand at apple butter. I started out with more pears than I needed for the recipe, because I wanted to make some Homemade Pearsauce too. It’s perfect to make both recipes at the same time. The Pearsauce is essentially what you get after the first two steps of making the recipe (see my recipe below for where to end for Pearsauce). Next time I’ll be canning the Pearsauce instead of just making enough for a few days. This Vanilla Spiced Pear Butter really was not that difficult to make. 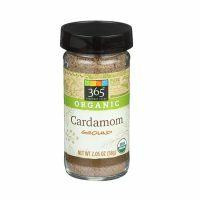 It tastes wonderful on toast, 5 Grain Pancakes with Flax, Waffles , or stirred into oatmeal. I’m trying to experiment with more here and there. 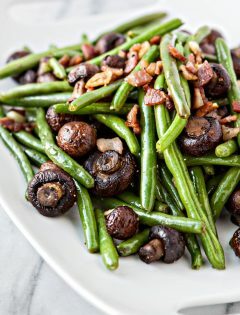 I’d love to hear what recipes are a must try for you! What recipes have you canned? 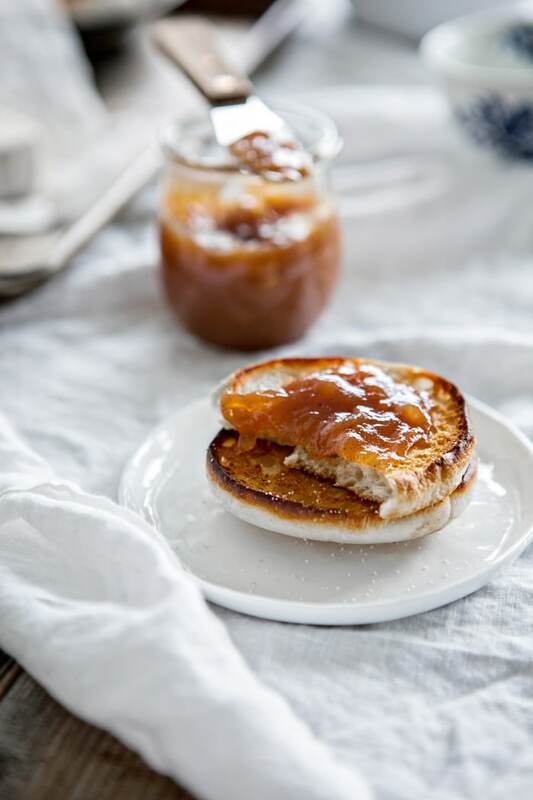 Love this recipe for Vanilla Spiced Pear Butter? 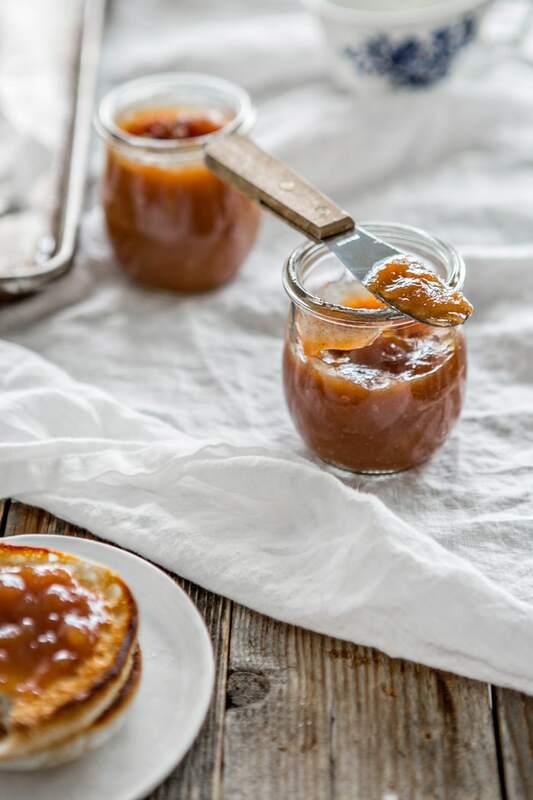 This Water Bath Canned Vanilla Spiced Pear Butter is easy to make. 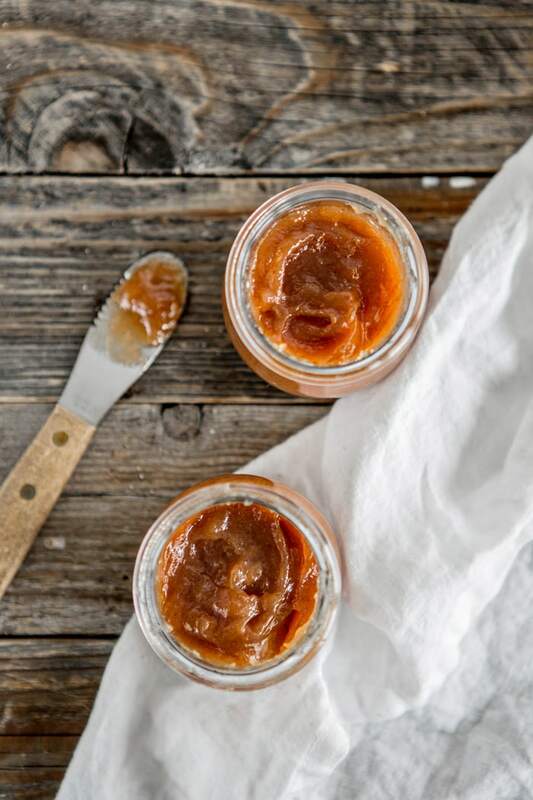 Jars of Pear Butter make excellent homemade gifts for teachers, friends, or neighbors during the holidays. In a large stainless steel saucepan, combine the pears, water, lemon zest and juice. Bring to a boil over medium-high heat. Reduce heat and boil gently, occasionally stirring, for 20 minutes. 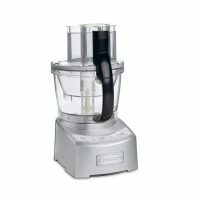 Working in batches, transfer mixture to a food processor fitted with a metal blade and puree just until a uniform texture is achieved. Measure 8 cups of pear puree (I used the excess as Pearsauce). In a clean large stainless steel saucepan, combine pear puree, sugar, orange juice, vanilla, cinnamon, cardamom, and nutmeg. Bring to a boil over medium-high heat, stirring frequently. 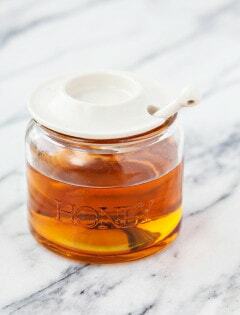 Reduce heat and boil gently, stirring frequently, until mixture thickens and holds it shape to a spoon and liquid does not separate. Wash and rinse the jars in hot soapy water. Drain the jars well of any excess water. Set the screw bands aside - they don't require sterilizing. 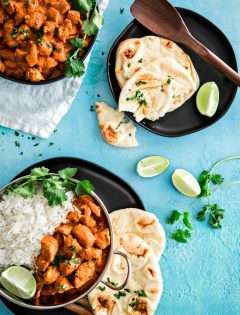 Place the lids - the flat round portion of the two-piece closures - in a small saucepan, cover with water and bring to a simmer. Don't boil. Keep lids hot until you're ready to use them. Ladle hot butter into hot jars, leaving 1/4 inch head-space. Remove air bubbles and adjust head-space, if needed, but adding more butter. Wipe rim. Center the lid on jar and screw band down until resistance is med, then increase to fingertip tight. My daughter would love this! Thanks for the recipe! 1. How many jars of pear butterdoes this recipe make? 2. You say to put everything in a “stainless steel” saucepan. Is there a reason for the specification? I usually use a dutch oven for this sort of thing, so I was just curious if there was any specific reason you mention this. Sorry about that. I thought I put the yield in. Just edited it now to include that info. As for the pan, that is just what the recipe stated. Any pan should be fine as long as it’s non-reactive. The recipe sounds great and pears are one of my weaknesses. This looks so good! I have been wanting to take a trip to the pear orchard. i bet this smells heavenly! yum, it looks so delicious! This sounds yumm. 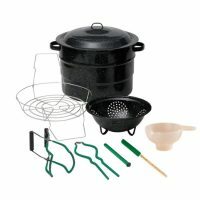 I have a logistical question that may be common knowledge to long-time canners, but I’m a novice! 🙂 You’ve wiped the rim of the jar and are ready to place the lid on it. You’ve been keeping your lids warm in simmering water. Do you dry off the lid with a towel or something before placing it on your dry jar rim and screwing on the band? Or do you just take your warm, wet lid and place it on the jar as is? Maybe it doesn’t make a difference! There’s still tons of pears in our markets, Katie, so thanks for the extra nudge! This looks spectacular. I’m just finishing off last year’s pear & cranberry jam. Delish! It’s a great pairing as the pears are sweet enough to balance out the cranberries. There is a pear and cranberry recipe in my book that I marked to try. It sounded really good! Hope to make it soon. 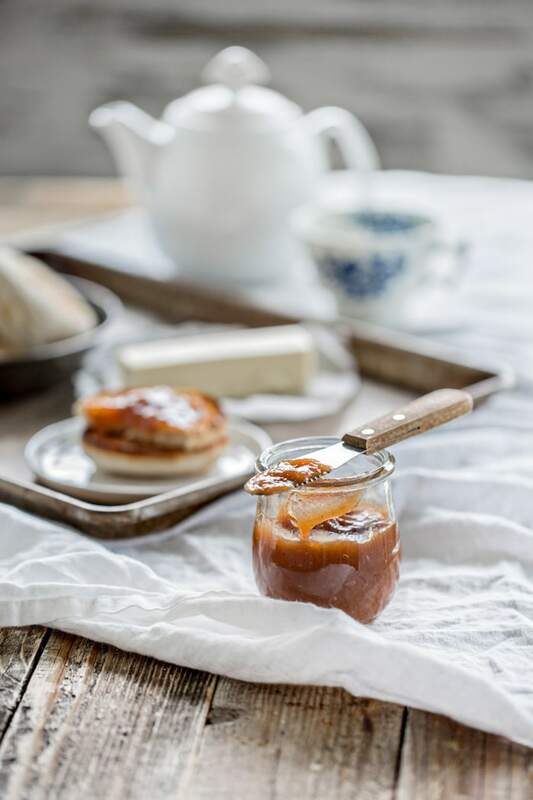 Aimee: I would love the recipe you have for pear & cranberry jam! Thanks! I LOVE fruit butters- I always make pumpkin and apple. 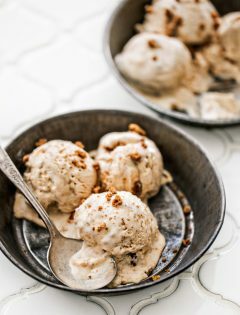 This pear one with vanilla sounds so yummy! actually there are 4 kilos pears in my kitchen. i should try your delicious recipe. 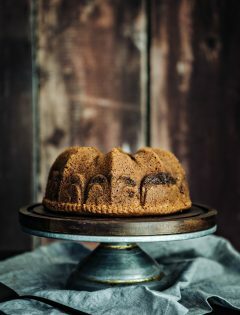 Thanks for posting this recipe… it looks a lot more flavorful than some other pear butter recipes I’ve seen! 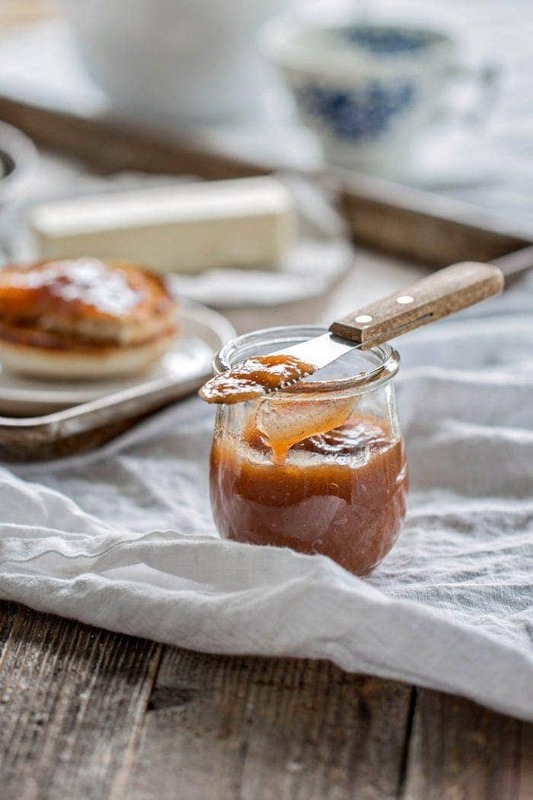 I have always loved pear jam, never thought of a pear butter, I bet it is good, thanks for sharing your recipe, look forward to trying. I am just getting into canning and this is a recipe I am anxious to try! Do you know the shelf life of the pear butter? Thanks for sharing! I am in love with the photo of the pairs. Absolutely stunning. 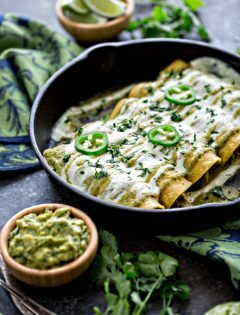 What a cool recipe! 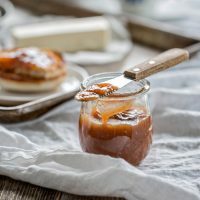 I had heard of apple butter, but this is the first pear butter recipe i’ve seen. I’m guessing i’m just sheltered as far as canning goes (i’ve always been scared the jars would brake immediately upon contact with me… or something like that… 😉 ) Sounds great, and wonderful pictures to match! this looks so fabulous katie! I’m such a huge fan of pears and haven’t gotten around to preserving them in this way yet. You’ve definitely got me inspired. thank you. Love this! I discovered canning this summer, and now I can’t get enough. 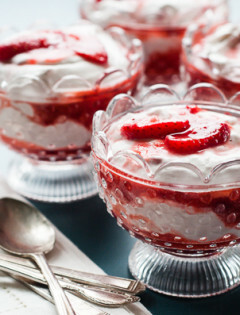 Such a beautiful recipe, and perfect for Christmas gifts! This sounds fantastic! Do you think you need to use ripe pears! I’m sure it is fine if they are somewhat firm but I wouldn’t use rock hard pears either. Just made this today with the bazillion CSA pears I’ve been stocking up. I don’t think I cooked it long enough in the second phase, as the finished product is more of an Applesauce consistency than the fruit butters I’m used to, but it is Seriously delicious. 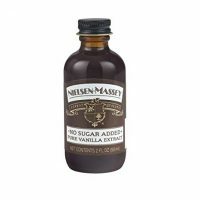 I can’t wait to have this with latkes, and as a substitute in applesauce muffins! Thanks so much for sharing this. Fresh Pears in my grocery store are expensive ( 2.00 lb) Have you tried this recipe with canned pears? I have not. I prefer to purchase fresh produce when it is seasonally available at low prices. 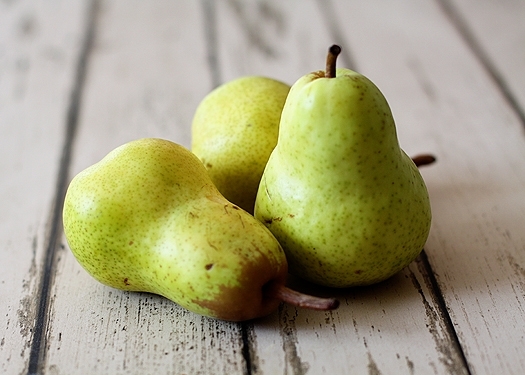 Pears are at their prime and inexpensive during the fall. 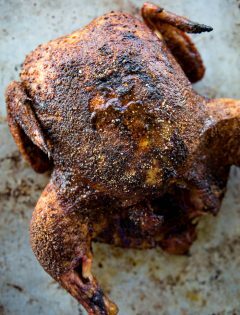 Can this cooked in a crock-pot? 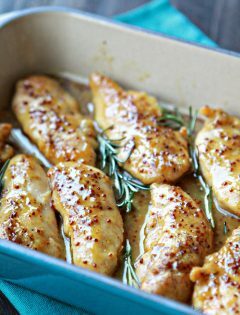 I see other recipes that are done that way, and I was just wondering if this one could be done this way? I have made pear butter from the pear butter recipe in the Ball book, this one sounds the same, except the vanilla and lemon, certainly going to try this one, sounds delicious! I had pear butter once when I was a child and loved it. Absolutely wonderful recipe. I will definitely make this again. I am a novice canner and had no idea what I was in store for, I started this at 2 in the afternoon. Right now it is 10:30 pm and its still not thick enough to put in the jars. I am sleepy, so, so sleepy. So yummy sounding? Can I reduce the sugar though? Would it still be safe to can in a water bath with reduced suger? 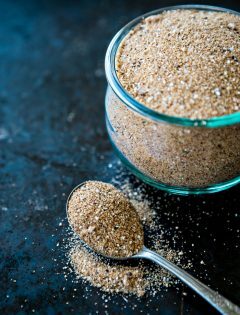 I am not that experienced in canning to answer that question, but from what I have read you have to follow specific low sugar recipes for it to be safe rather than just altering on your own. I would consult official sources, like Ball Complete Book of Home Preserving, before making any changes. Last year I made apple sauce and pear sauce pressure canning the finished products. I added no sugar to the pears. Everything turned out fine. I used pears for the sweetener as needed in the apple sauce. Seems like it should work for the butter too. It was also cooked in the crockpot. Took a while but I didn’t have to keep such a close eye on it. I’fe never tried canning and I am not prepared to start today. Can this recipe be frozen? Yes you can freeze it in plastic freezer jars once cooled to room temperature. Its a little out of season for pears here right now, but I wondered if I could use canned pears instead? 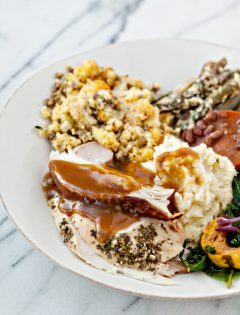 I’d really like to make this for Thanksgiving! Never tried it with canned pears, so I can’t say. Canned pears are already cooked and have a lot of sweetener in them. It took a good eight hours to cook down, but I now have some beautifully fragrant, dessert-quality pear butter. My husband’s eating it with a spoon as I type this. He wants to put it on ice cream. We have 2 huge pear trees that are FULL this year. It’s good to have a recipe that’s seriously worth the time. Sorry for the delayed reply. I have not tested the recipe with another liquid so I would say keep it the same to make sure it cans effectively. 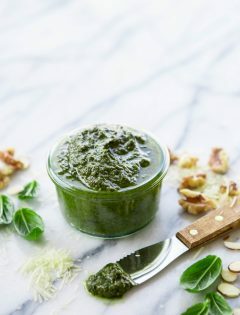 I am a newbie…can this be done in a water bath or do you need a pressure canner? 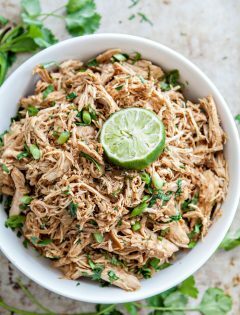 Had anyone tried this recipe in a crock pot yet? Dairy farming mom here…..put it all together and putting it in the crock pot to cook down during evening chores. Hoping for some feedback! I have not but I look forward to hearing how it works for you! Thanks for stopping by!